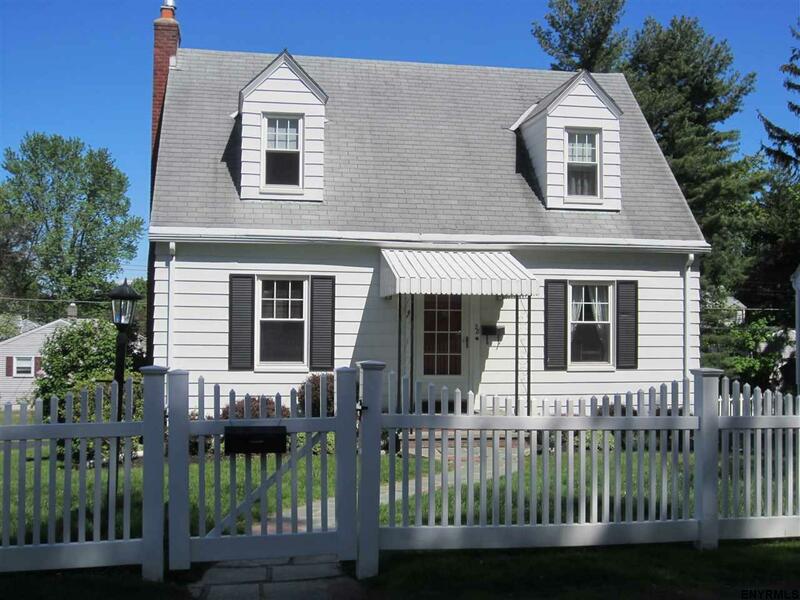 Charming Cape-Cod style home with huge, bright windows on a quiet tree-lined street in Old Latham. Pristine condition. Great character: hardwood floors throughout; Lg. LR w/ wood-B FP; formal DR; adorable archways; gorgeous master BR w/ walk-in cedar closet. Pine-paneled family room w/ wood-B FP at garden level (has been used as family room) + unfinished flex-room w/ new beautiful french doors lead to patio. 220 amp circuit breakers. Feel right at home in this cozy and inviting charmer!